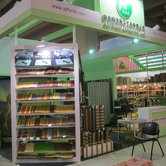 TOURS/FAIRS -Anji Florid Art ware Co.,Ltd. 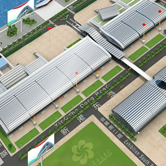 FLORID will attend 110th CANTON FAIR in 0ct. The focus of our design and manufacture is to provide products made from renewable and recyclable materials. Our team of professionals have committed to promoting the benefits of "green living" by developing products that support this mission. We approach design with a philosophy that incorporates natural style and practicality. Our ultimate goal is to produce affordable, durable, and usable, fashion by bringing the serenity of Bamboo into homes around the world.